Theresa Villiers, the Northern Ireland Secretary, is campaigning to leave the EU – a step that would have profound ramifications for the region. A formal land border between Northern Ireland and Eire would have to be reintroduced, trade would be affected and the EU funding that has helped the region recover from the Troubles would end. Nicholas Wright argues that, as the campaign goes on, Villiers’ position may become untenable. Since the announcement of 23 June as the referendum date, much attention has been paid to the ‘Gang of Six’ senior ministers who formally broke ranks with their Cabinet colleagues to announce they would campaign to leave the EU. Of them all, it is Theresa Villiers, the Secretary of State for Northern Ireland, whose position could prove the most problematic as David Cameron struggles to maintain both the unity of his government and its capacity to govern effectively. In short, his most senior minister in Belfast will be campaigning for a referendum outcome that could have profound consequences for Northern Ireland and its strained peace process, and for relations with its closest neighbour, the Republic of Ireland. (Indeed, her decision has already been criticised by Fianna Fail, the main opposition party in Dublin.) It seems legitimate to question, therefore, how long she can credibly remain in office given what is at stake. The role of Northern Ireland Secretary remains important and highly sensitive in the region’s politics. It has tested the political and diplomatic skills of all its occupants as they have sought to navigate with varying degrees of success the complex relationships between (sometimes combustible) local politicians on the one hand, and the pivotal relationship with Dublin on the other. Not for nothing, for example, did Tony Blair send perhaps his closest ally, Peter Mandelson, to Hillsborough Castle – reminding us that the Secretary of State’s ability to operate effectively in this environment is rooted in their credibility and influence in London. Historically, although London sought to demarcate the problems in Northern Ireland as a domestic issue, they have inevitably impacted on relations with Dublin – a fact reflected formally in the 1985 Anglo-Irish Agreement, 1993 Downing Street Declaration and 1998 Belfast (Good Friday) Agreement. Together, these have helped establish and facilitate the increasingly close working relationship that has been central to securing a devolved, power-sharing political settlement in the north. Both London and Dublin obviously have a vested interest in maintaining and developing this. What is less often acknowledged is the importance of the institutional framework the EU provides for the peace process and wider Anglo-Irish relations. The London-Dublin relationship today is arguably closer than at any point in an often difficult shared history. As one Irish diplomat described it to me, partly because they joined the then-EEC at the same time and partly through spending so long ‘sitting around the table together’, Irish governments have recognised they have ‘more in common with the UK than they thought’, a view reciprocated in London. Co-operation on Northern Ireland has both facilitated and been a consequence of the development of this relationship. The EU’s practical contribution to this has been significant. As Sionaidh Douglas-Scott notes, while the Belfast Agreement is a bilateral treaty, the ‘status of the UK and Ireland as EU member states is woven throughout’. This can be seen, for example, in how sensitive issues related to human rights are framed and addressed. It is also reflected in the significant financial support made available through EU Cohesion funds. For example, the PEACE III (2007-2013) and PEACE IV (2014-2020) programmes have contributed or will contribute €225 million and €229 million respectively. It is for such reasons that Charles Flanagan, Ireland’s Foreign Minister, has argued that it is in Northern Ireland that ‘the EU’s positive influence has been most keenly felt’. 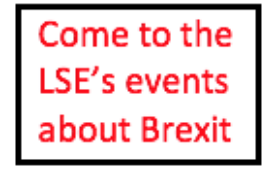 How might a Brexit affect this? Perhaps the most significant practical and symbolic consequence would be the need to re-institute a formal land border between North and South. The potential ramifications of this illustrate the complex interaction of economics, politics and community relations which together have a direct bearing both on stability in Northern Ireland and on Anglo-Irish relations. The introduction of physical border controls and security checks would impact on regional trade and commerce, as would the likely imposition of some level of trade tariffs, depending on what kind of post-Brexit UK-EU trading arrangements are agreed. 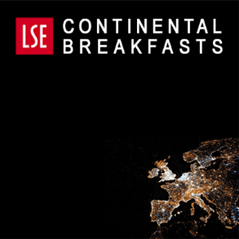 Economic activity between the UK and Ireland, and between north and south, is significant. In 2013, exports of goods and services to the UK represented 12% of Irish GDP, while north-south trade in manufactured goods totalled £2.57 billion. Estimates by Ireland’s Economic and Social Research Institute are of a potential 20% overall reduction in bilateral trade, with small companies bearing the brunt of this. Given the continuing fragility of the Northern Irish economy, this would have a significantly negative impact and it seems highly unlikely that the Treasury would be willing or able to make up the financial shortfalls given the current austerity conditions being imposed across the UK. These economic risks underlie and could potentially exacerbate political risk factors. The most obvious of these is the negative symbolism associated with the re-constitution of the land border in a region intensely sensitive to political symbolism. The dismantling of physical barriers between north and south was an important element in securing nationalist support for the political process. Reversing this would thus be controversial in ordinary circumstances. However, it would be occurring at a time of increasing polarisation between Northern Irish communities and a decline in support for the Belfast Agreement. The recent political tensions between the DUP and Sinn Fein provide an ample reminder of just how fragile the political settlement remains. While London may have no choice but to re-impose border controls, the consequences for Northern Irish politics could thus be profound. Belfast’s political leaders, who to date have shown little meaningful engagement with the potential implications of Brexit for either the local economy or local politics and community relations, would be confronted with a toxic combination of economic contraction and the ‘lightning-rod’ issue of a re-established physical frontier. Together these could spill over into more harmful expressions of political discontent. These economic and political risk factors could also be expected to put pressure on Anglo-Irish relations, particularly if community relations deteriorate in the North. Irish politicians and officials have been forthright in expressing their concerns to London about the risks Brexit poses. Of all the issues officials identified, while the economic impact is a considerable concern, unsurprisingly it is the ramifications for Northern Ireland that are ‘the most troublesome and could create the most difficulties’. What then of the Northern Ireland Secretary? It seems foolhardy to believe she can spend the next four months campaigning for an outcome that could impact so profoundly on the stability of the region for which she is responsible. As the referendum campaign continues, her own credibility will be under increasing scrutiny in Northern Ireland, especially given the Remain stances of Sinn Fein and the SDLP. This risks undermining her capacity to discharge her office – particularly if she has to respond to the crises that have so frequently confronted her and her predecessors. Given the fragility of the peace process, this is a dangerous state of affairs. 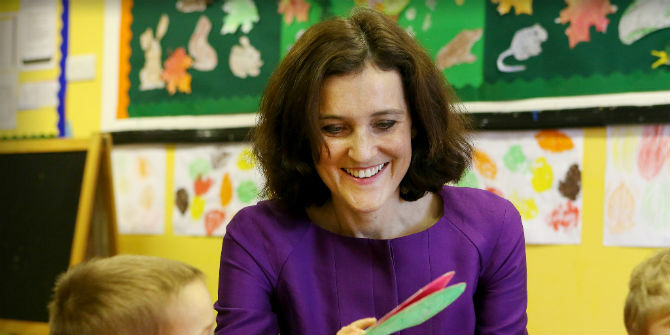 Theresa Villiers has chosen to follow her political conscience in campaigning to leave the EU. The price of that choice may well be to recognise its incompatibility with the importance and political sensitivity of her office. The first minister herself has recommended brexit. All known DUP figures will campaign for/support brexit. Project FEAR is in full swing.